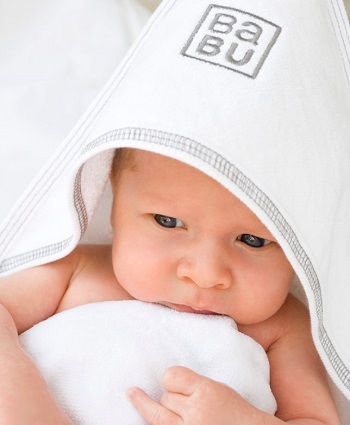 Merino wool is nature’s wonder fibre and it’s perfect for swaddling your baby. Babu's super fine merino wool wrap is soft, warm and stretchy enough to swaddle your baby without causing constriction around the hips or over heating. This wool blanket is versatile and toasty, due to merino’s incredible temperature regulating properties. You can use this multi-purpose merino wrap a million ways: as a swaddle, a buggy rug, a baby capsule cover or a spare sheet. You can also use it on the change table or tuck it in your nappy bag just in case. This collection comes in a range of classic colours and stripes.